We are the renowned manufacturer, wholesale supplier, exporter and service provider of Curry Leaves Powder. 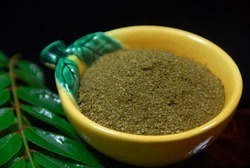 As an affluent name of this domain, we hold expertise in providing high quality Curry Leaves Powder. 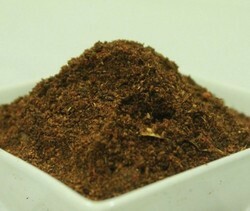 We are engaged in manufacturing, exporting and supplying excellent quality Curry Leaf Powder(Stem Less and Sun Dried) to our valuable clients. In order to meet diverse requirement of the clients, we bring forth world-class range of Curry Leaf Powder that have high medicinal properties and are quality assured. Offered range is quality tested and is free from added impurities. They add exceptional taste to the food and can also be added to curries or pagodas.